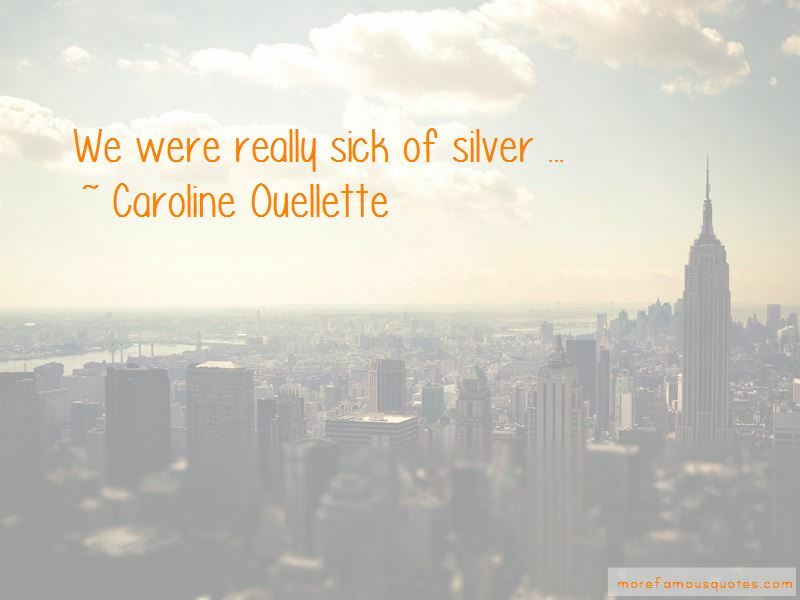 Enjoy the top 3 famous quotes, sayings and quotations by Caroline Ouellette. These are tough games to play. We shared the puck and we wanted everyone to get a chance to score. Tough games to play in. We want close games. That is why we train so hard. We want to show our fans some even games. 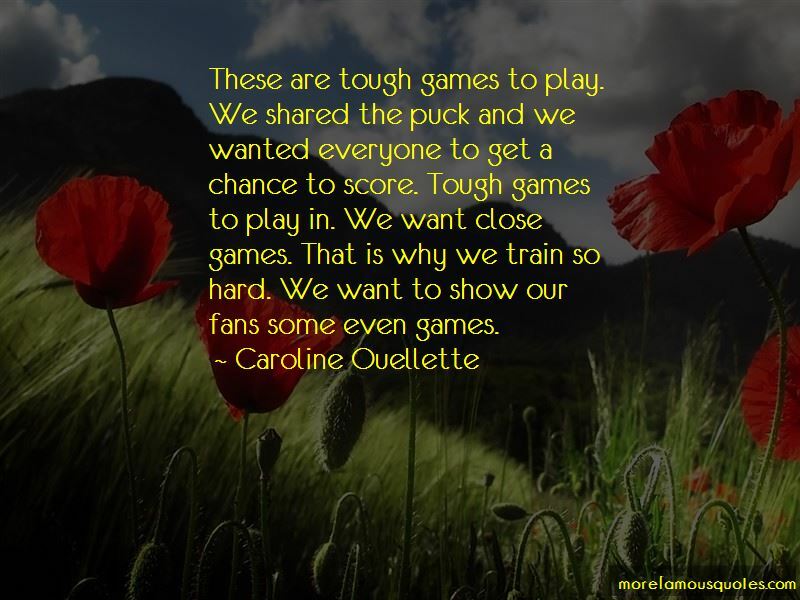 Want to see more pictures of Caroline Ouellette quotes? 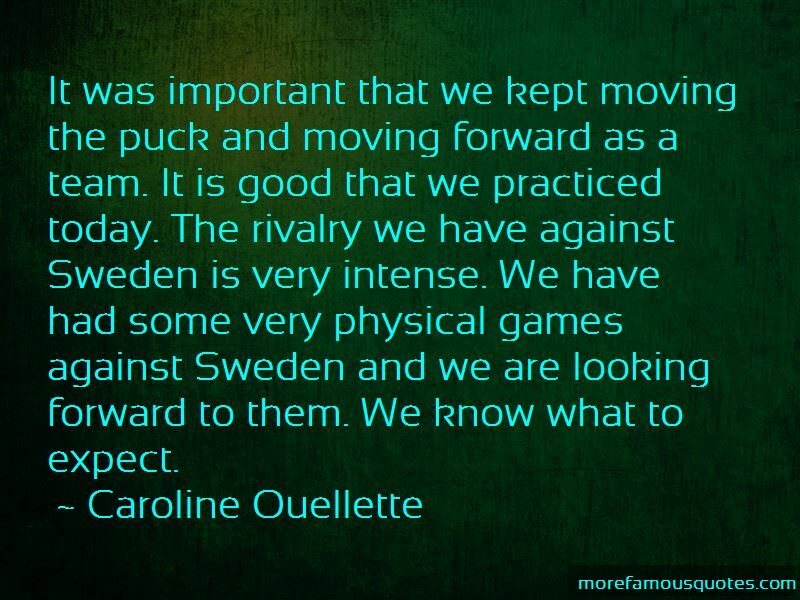 Click on image of Caroline Ouellette quotes to view full size.